Home > Speakers > Andrew Mackin B.Sc., B.V.M.S. 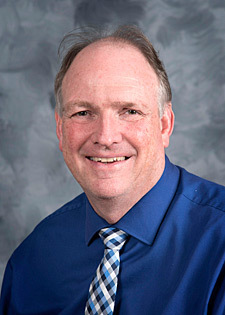 Andrew Mackin is currently Professor and Ward Chair of Medicine at Mississippi State University. Andrew is a 1983 graduate of Murdoch University in Western Australia, and after graduation completed an internship and residency in small animal medicine at the University of Melbourne, followed by an internal medicine residency at the Ontario Veterinary College. Andrew became a Diplomate of the American College of Veterinary Internal Medicine in 1994. Andrew has a clinical and research focus on hematology, hemostasis, immunosuppressive therapy and transfusion medicine. In 2006, he received the Carl Norden-Pfizer Distinguished Teacher Award and, in 2010, the MSU-CVM Dean’s Pegasus Award.